As the housing market continues its recovery, homeowners remain understandably guarded about how they invest their home improvement dollars. Things are moving in the right direction, but protecting your investment and recouping as much of the cost as you can is still a prime target. That’s where information like Remodeling Magazine’s annual Cost vs. Value Report is both useful and encouraging. The report shows that the 2013 average cost-value ratio (investment vs. return) rose to 60.6%, reversing a negative trend. The report found that a combination of stabilizing house values and lower construction costs contribute to this trend. 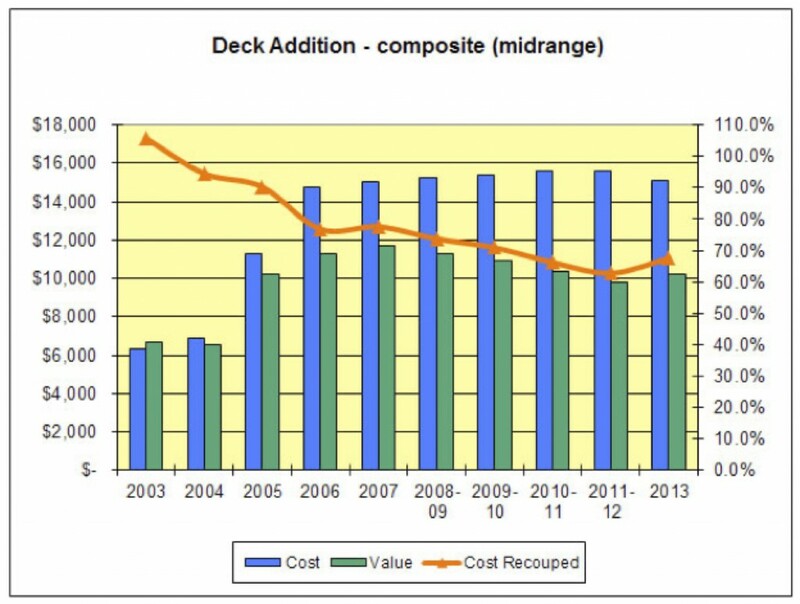 Looking at projects and the return they offer, wood decking edges out composite decking again, showing homeowners can recoup 77% of their project cost compared to 67% of a similar composite deck project. 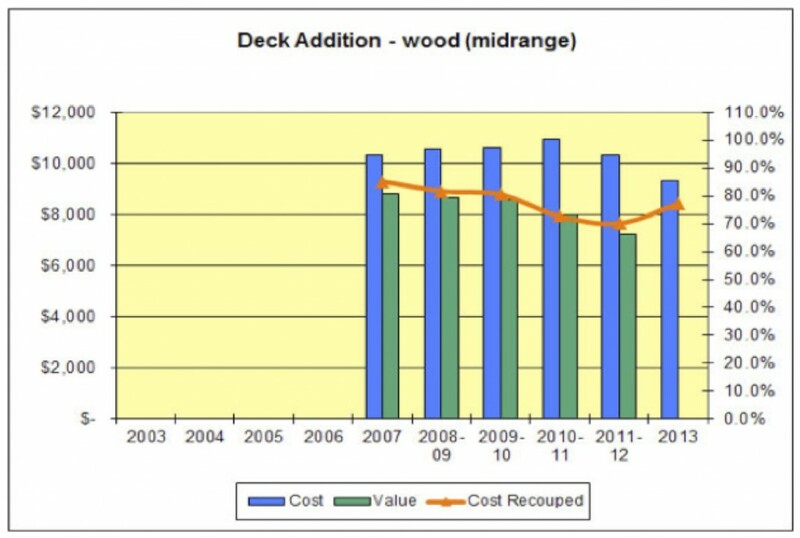 A wood deck costs less than composite to build, and returns more value for your home. Kind of a no-brainer, don’t you think?